Home » Developing Visualisation Literacy » What is data visualisation? Have you heard about data visualisations, wondered what a visualisation is, why they are so popular, or how you can understand them better? Have you asked yourself: what is data visualisation? In this video we answer these questions in order to introduce you to data visualisation and the Seeing Data project. Have you heard about data visualisations, wondered what a visualisation is, why they are so popular, or how you can understand them better? Have you asked yourself: what is data visualisation? A data visualisation is a visual representation of data. In other words, a data visualisation shows statistical, numerical data in visual ways, in order to communicate their meanings. Visualisations aim to help people make sense of and explore data. Experts believe representing data in visual ways can help communicate what the data means. It can also allow people the opportunity to analyse and examine large datasets, which would otherwise be difficult to understand. Maybe you have seen or heard the term infographics? An infographic is similar to a data visualisation, but the two things are not exactly the same. An infographic is designed to tell a particular story to a specific audience. It might include images or information. Usually, it doesn’t include data. It might show more ‘design flair’ than a data visualisation. 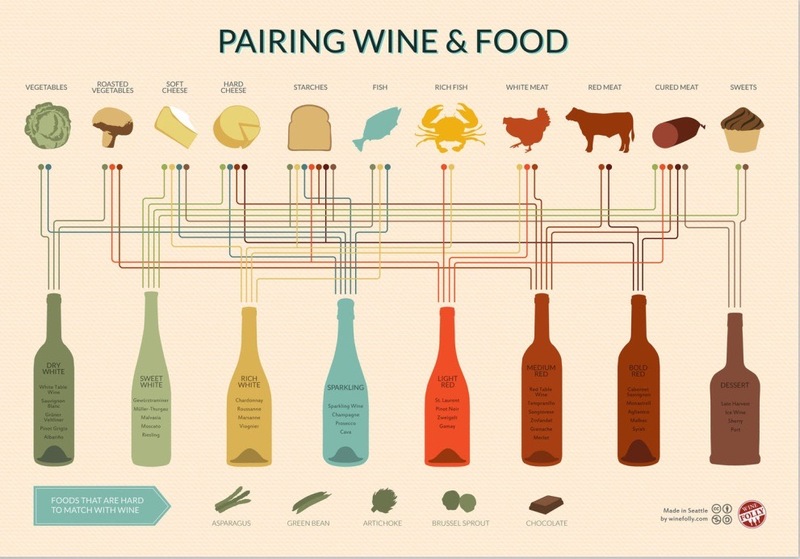 Pairing Wine and Food (→) An example of an infographic. A data visualisation, on the other hand, often presents a dataset with minimal editing, and it aims to make the data more accessible than it is in its raw form. Some data visualisations also aim to make it possible to explore the data on which they’re based. A data visualisation may have been generated automatically from a big data set, such as with Migration in the News (→) , see below, or it may be based on a small data set. Migration in the News (→) An example of a data visualisation. Where can we see data visualisations? The answer is: lots of places! This includes the internet, social media, traditional media like newspapers and magazines. On TV, visualisations are often used in news, for example during elections, or in sports programmes. You might receive them through the post in campaigning or advertising material, when graphs or charts are used to convince you of something, or in reports from your bank, pension or other organisations. 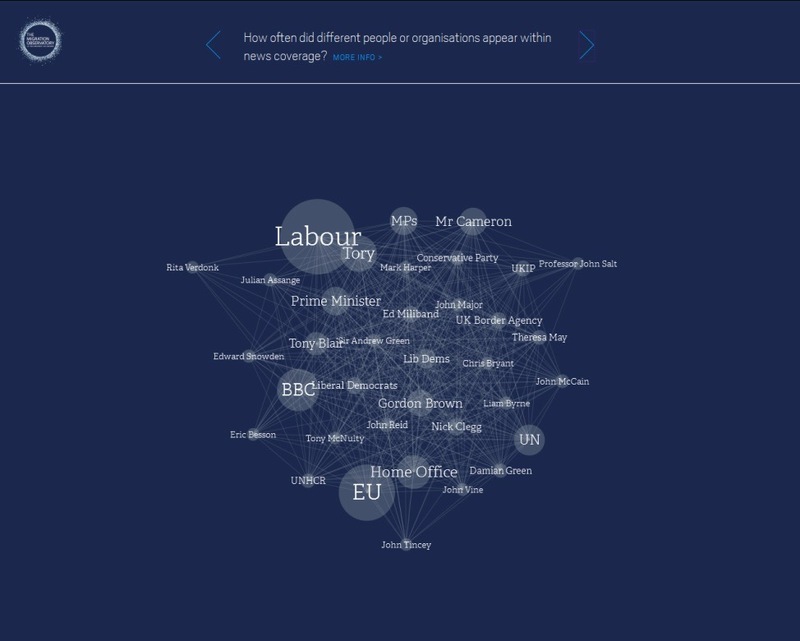 On our website, seeingdata.org, there are some examples of data visualisations that are circulating today. This is just a small sample from many hundreds, to give a taste of what visualisations might look like, and what types of data they represent.